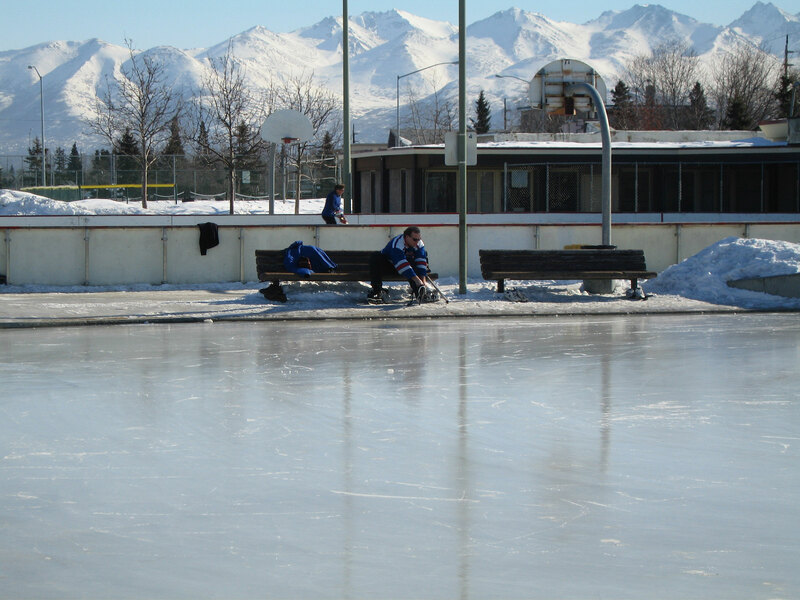 The hockey rink near Pete's Gym is a large draw during the winter months. Building upon this activity with a hot chocolate stand and skate rentals were identified as short term actions to enliven the park. The Anchorage Parks Department brought PPS to Anchorage to train city staff and local landscape architects to apply the Placemaking process to projects throughout the city. Delaney Park Strip, a fourteen-block long park strip in downtown Anchorage, was chosen as the demonstration site for the training sessions. The park has long been an important gathering space in the city and a host to major city events and festivals throughout the year. Despite its prominence, the park was facing several issues, which were addressed during the training, including: aging park facilities; lack of a hands-on management program; conflicts between park users over types of use allowed in the park; and a growing debate about memorial placement within the park. PPS worked with the City to evaluate and create a vision for the park strip, while bringing a wider group of stakeholders into the planning process, and to train city staff and local members of the American Society of Landscape Architects (ASLA), the American Planning Association (APA), and the American Institute of Architects (AID) in the Placemaking process. In the winter of 2006, PPS facilitated two community workshops in Delaney Park Strip, which were attended by over 100 residents. The workshops focused on evaluating the park and developing ideas for improvements. As part of the training program, the City Parks Department staff played a large role in organizing and facilitating the workshops. Following the workshops, they put together a short report describing the Placemaking process undertaken by the City, the vision and goals for the park strip, and the results of the workshops. PPS acted as support to the city staff, allowing them to truly learn the Placemaking process by doing it themselves. Based on the input from these workshops, the City of Anchorage Parks and Recreation Department identified a series of goals for the park, which included: creating a series of destinations; balancing services and facilities for a diverse community; working toward an economic model that is self-sustaining and promotes economic growth; and building a strong management structure. The City developed a series of major recommendations that build upon the park's existing assets, including: minimizing traffic speeds on surrounding roads and improving pedestrian connections and amenities; building upon key destinations, such as ice rinks, a garden, and an elementary school; and implementing short-term improvements to experiment with new ideas for amenities, programming and partnerships. 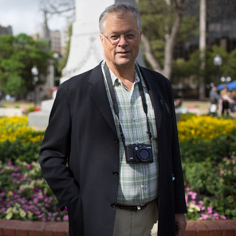 A public review period was held during the summer of 2006, during which time the Parks Department and local volunteers had booths at several community events held in Delaney Park to solicit additional public comments. A second round of public meetings was scheduled to be held in the fall of 2006 to finalize the plans and to develop a phase one strategy for improvement projects for 2007. 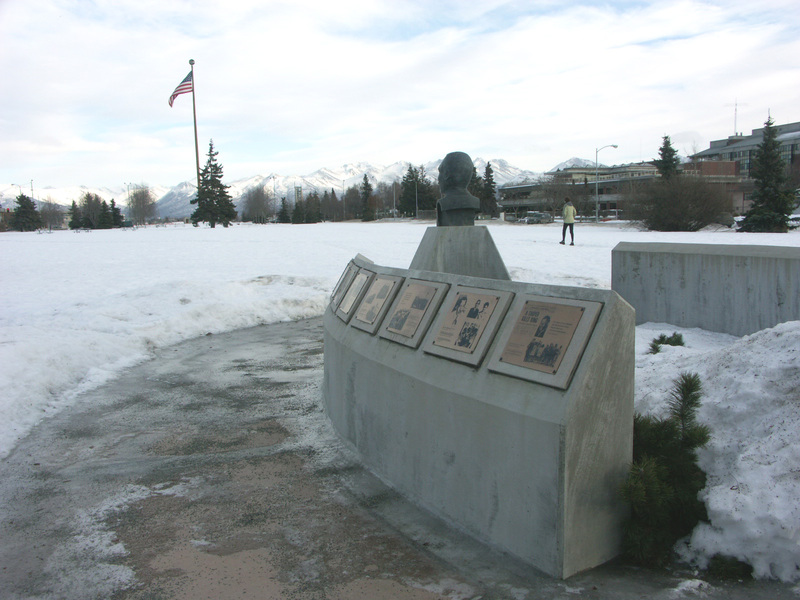 The Pope Memorial commemorates Pope John Paul II's visit to Anchorage, an important event for the park as well as the entire city. There is an on-going debate as to the continued installation of memorials in the park strip.